We became known as “Dr. Sandor” and “Miss Paula” and with the hard work and diligence of our Chinese counterparts, TCX was launched. When the official opening occurred that fall, many key officials attended and a small cannon shot golden confetti into the air. What an exciting day. The era of official carbon pricing in China was beginning, an era that both demands and celebrates the stamina of the marathon runner. 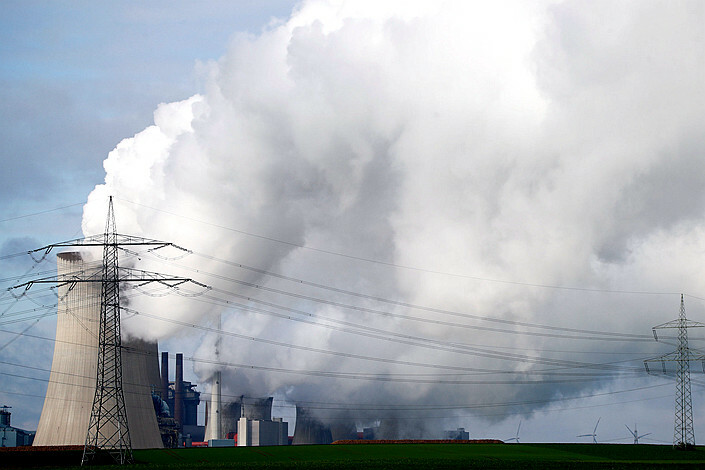 For the carbon pricing concept is not at all new, but implementing it is urgent. So where are we today with regard to global carbon pricing and its relevance to climate change and reducing greenhouse gas emission? Firstly, what is a carbon price? There are many answers, but a simple answer is that a carbon price hangs a price tag on every ton of greenhouse gas emitted into the atmosphere that would otherwise never be recognized. Without a carbon price, emissions waft into the atmosphere for free as byproducts of burning fossil fuels, and those emissions take up space in our thin atmospheric layer, trapping solar heat and wreaking havoc with our climate and weather patterns. And since the Industrial Revolution, dangerous greenhouse gas emissions have ridden by the millions high into our sky, where they have been hiding out of sight, paying no price for the ride. A carbon price charges for that ride, making it expensive to pollute, also visible to all that there are “hidden costs” to this pollution. Sending emissions into the atmosphere no longer can be seen as a free good, but rather must be priced in terms of a debt we owe to the environment that has gone unpaid for decades. Carbon prices are calculated based on various parameters. One parameter is the comparative cost per ton of shifting from fossil fuels to alternative cleaner fuels, such as solar and renewable energy, or natural gas. This shift involves engineering and technological costs, which can be calculated and applied to carbon pricing — a cost of doing new business, as it were. Also, carbon prices can include more intangible costs, referred to as the “social cost of carbon.” such as the cost of poor public health from smog and particle pollution, which are also present when fossil fuels are burned, and which foul the air at levels as low as city sidewalks and require people to wear protective masks every time they step outside. But regardless of how the price is calculated, it is expressed on a per ton basis — and the translation of intangible environmental costs into tangible financial terms represents a new international language that all nations can speak. And, ideally, the world wants carbon prices to be high, because the higher the carbon price, the more incentive for emitters to reduce emissions so as not to pay that price. Emitters may pay the price through various mechanisms, either a direct tax per ton, or a cap-and-trade system, which allows emitters to compete for a finite sum of emissions allowances, or both. And investors can also use carbon pricing to illuminate potential financial risks facing a company. For example, if a given company emits 20 million tons of greenhouse gases per year, and each ton is priced — that company is carrying a liability at least equal to the carbon price of each ton. That liability will be a drag on a company’s financial and operational outlook, and so the incentive is created to become as clean as possible and reduce emissions. In China, of course, the world now awaits the operational launch of the national emissions trading market that was announced in Paris in 2015 at the historic COP-21 international meeting on climate change where all nations of the world committed to making greenhouse gas reductions in time to level off emissions growth by 2030. Since the original announcement, China has been refining the scope and terms of its national emissions trading plan, and when it is fully operational, it will represent the largest commodities market in the history of the world, perhaps, and could well become the global reference point for carbon pricing. But China’s market will not exist in a vacuum and encouraging signs have recently emerged worldwide. In the European Union, for example, which has operated a cap-and-trade system since the late 1990s, recent redesign and improvement in the program have helped tighten supply of allowances, and prices rose to 25 euros ($28.50) per ton in September, up from 4.50 euros in May 2017. And in the United States, which is lagging behind in climate change leadership at the national level, various states have taken leadership, notably California and the northeast states, which operate local-based carbon pricing systems where prices have also been climbing. Meanwhile numerous national governments remain on record as intending to create some form of carbon pricing mechanism in order to meet their obligations under the Paris agreement. Recognizing this, and even despite fragmented public policy, many major companies have come to regard carbon pricing in some form as inevitable and have begun using an “internal carbon price” to in a sense practice the impact of mandatory carbon pricing in business operations. According to CDP, which began tracking internal carbon pricing in 2013, the number of companies globally using an internal carbon price jumped from 150 companies in 2014 to over 1,300 companies in 2017, including in China, Japan and Korea. And prices vary greatly, ranging from $4 to $100. So, all in all, through carbon pricing, the free riding of pollution into the atmosphere is gradually ending, as it must. The race to end climate change is on, as Olympian as the Olympics, and the gold medal winners will be all the people of the world. Paula DiPerna is a special advisor to the Carbon Disclosure Project. She formerly served as the president of the Chicago Climate Exchange International and president of the Joyce Foundation in the U.S.
Support quality journalism in China. Subscribe to Caixin Global starting at $0.99.